Sometimes life gets in the way of good living. It’s all too easy to feel the strain of daily responsibilities and anxieties and lose sight of what’s really important. The pressures of modern existence are such that many people feel dissatisfied, depressed, helpless or simply unfulfilled. When that happens, it may be time to seek help – and yet therapy can take various forms. Another option might be to take control by going on a big adventure and experiencing our planet’s regenerative power firsthand. 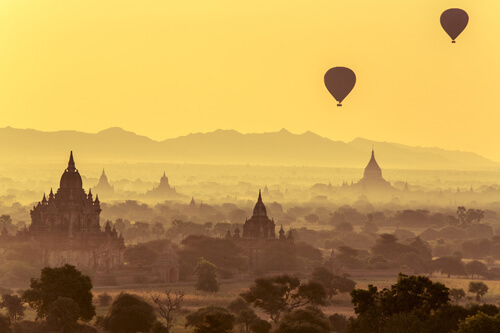 From ancient ruins and holy pilgrim sites, to incredible sinkholes, cloud-fringed mountains and other natural wonders, here are 50 jaw-droppingly beautiful places that will stir the soul and may well inspire personal transformation. Uluru / Ayers Rock in central Australia’s Northern Territory is considered a holy place by the local Anangu Aboriginal people. 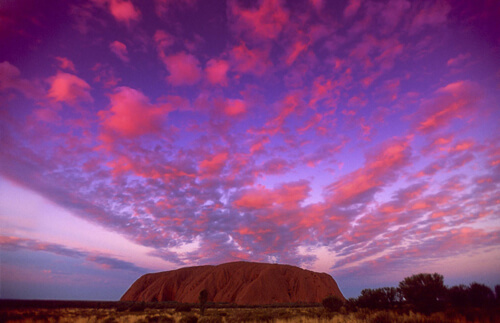 Named Ayers Rock after former Chief Secretary of South Australia Henry Ayers in 1873, the UNESCO World Heritage site and iconic landmark was rechristened Ayers Rock / Uluru in 1993 and then Uluru / Ayers Rock in 2002. Formed approximately 550 million years ago, the rock is rich in Aboriginal myth, heritage and lore – not to mention stunning natural beauty. Visitors have marveled at the way its colors seem to shift depending on the season and time of day. 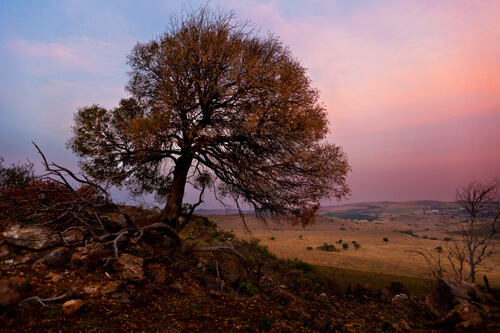 Watching the isolated mound of sandstone glow like an ember under a breathtaking Australian sunrise or sunset is bound to inspire a sense of awakening and renewal. 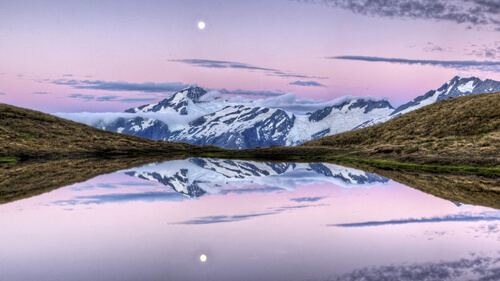 If shots of majestic Mount Aspiring National Park look familiar, that’s because its mighty peaks were appeared in Peter Jackson’s The Lord of the Rings (2001 to 2003) trilogy. The park is surrounded by New Zealand’s Southern Alps on the country’s South Island and is part of the Te Wāhipounamu UNESCO World Heritage site. 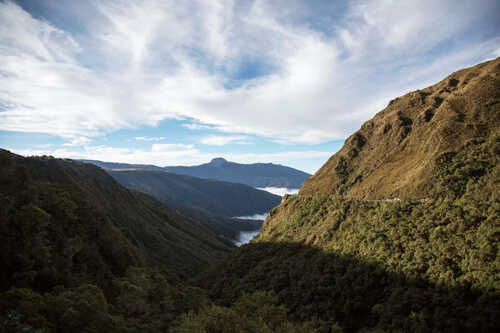 Set up in 1964, the park has breathtaking physical features like the Matukituki River, Matukituki Valley, Haast Pass, and Mount Aspiring, also known as Tititea. 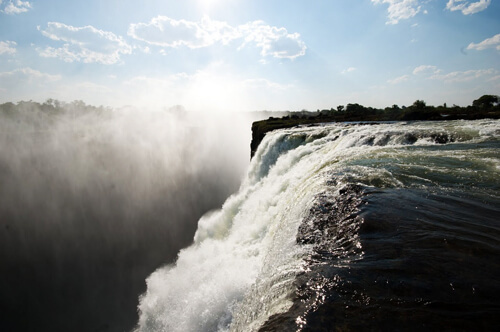 It’s hard not to be moved by the stunning rivers, snow-capped peaks, glaciers, waterfalls and wide-open spaces there. And let’s not forget the wildlife: there are 59 species of birds and over 400 varieties of moths and butterflies just waiting to be spotted. 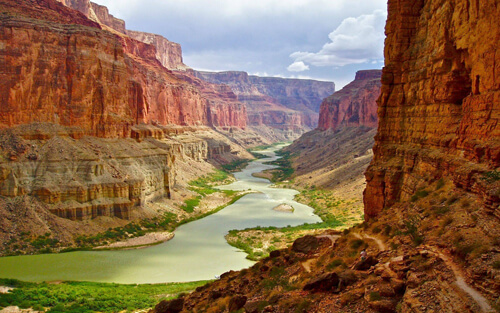 One visitor called the park “awesome,” describing it as “one of the most beautiful areas in the world.” Another used the word “spectacular.” At least one company even offers apparently “life-changing” helicopter tours of the park’s sights. Known as the “Rainbow Mountains,” the dreamy hills of the Zhangye Danxia Landform Geological Park in China’s Gansu Province look like something Willy Wonka or Dr. Seuss might have dreamt up. In reality, the vivid peaks gained their color over 24 million years thanks to the laying down of mineral and sandstone sediments. These multiple layers were then shaped by the movement of the Earth’s plates and defined by the elements – etching texture into the patterned rocks and creating all sorts of unique, otherworldly formations in the landscape. 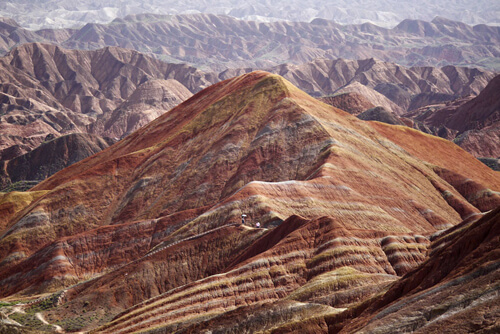 In 2010 the mesmerizing China Danxia was recognized as a UNESCO World Heritage site. Visitors are bound to leave with a new perspective – and perhaps an appreciation for what can be achieved with patience. “So beautiful, so unique,” said one such traveler. Life can’t be that bad when this kind of beauty exists. Observed by the Juneau Icefield Research Program since 1942, Alaska’s dreamlike Mendenhall Ice Caves are another compelling example of the transformative power of nature. The breathtaking caves are located beneath Mendenhall Glacier’s West Glacier in Mendenhall Valley, Juneau. To reach them, visitors must kayak or trek before completing an ice climb, but these caves are certainly worth the effort. 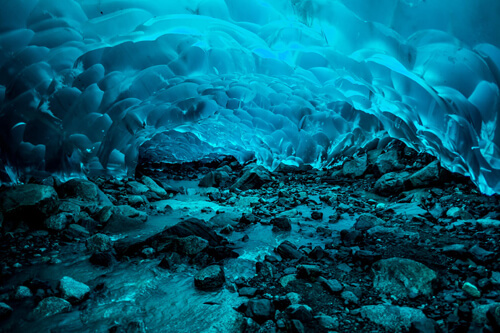 “There’s magic in the Mendenhall Ice Caves, where water runs over rocks under blue ceilings,” writes Atlas Obscura. Or as photographer Michael Taylor has put it, “Light filters in through 200 feet of crystal clear ice, casting a surreal blue hue.” Unfortunately, owing to climate change, the glacier is retreating: it has diminished by around two miles since 1958. “Words cannot describe this wonder,” said one visitor. Best catch a glimpse while it’s still possible. 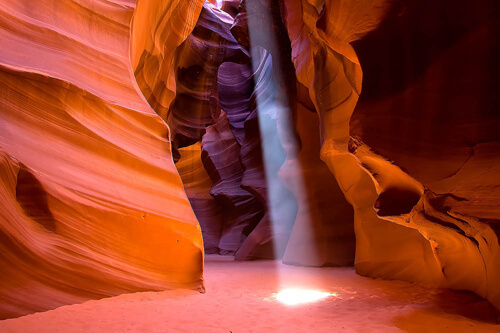 With light filtering down to reveal the swirling colors of its chambers, Antelope Canyon in the American Southwest is another breathtaking natural wonder that may offer a potentially life-changing experience. Located in the semi-independent Navajo Nation area, not too far from the sacred Rainbow Bridge, the slot canyon was chiefly created by the erosive forces of flash floods. In fact, the indigenous moniker for Upper Antelope Canyon is Tsé bighánílíní, or “the place where water runs through rocks.” Lower Antelope Canyon, meanwhile, is otherwise known as Hazdistazí, meaning “spiral rock arches.” “Visit and experience a harmony you’ve never before felt,” says Antelope Canyon Navajo Tours, adding that the canyon is “the heart of Arizona, and the soul of the Navajo Nation.” Visitors agree: “I would have stayed there for hours… just to look at it and touch the rocks… Just incredible,” said one spellbound individual. Fiordland National Park, located on New Zealand’s South Island, is another spectacle of nature featured in Peter Jackson’s The Lord of the Rings (2001 to 2003) trilogy as well as the director’s other Middle Earth film series The Hobbit (2012 to 2014). 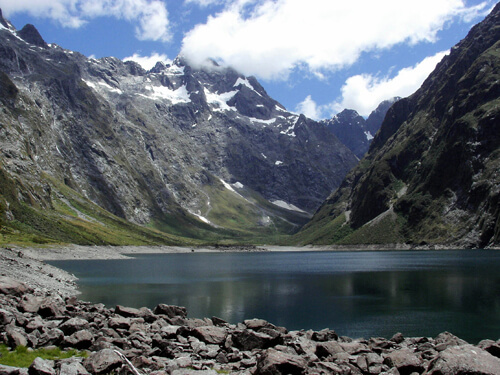 Like Mount Aspiring National Park, Fiordland is part of New Zealand’s Te Wāhipounamu World Heritage site. Its immense fiords were scraped out by glaciers over tens of thousands of years; then when the glaciers receded, they left beautiful lakes like Manapouri and Te Anau in their place. 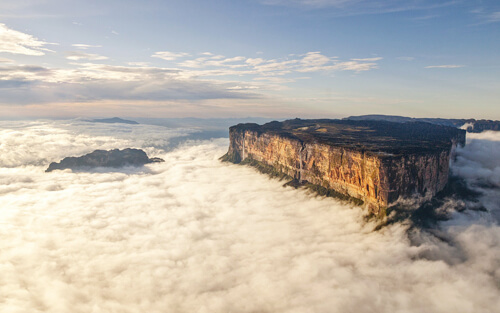 The park covers over three million acres and is the result of millions of years of natural sculptural work by the elements: its epic mountains, lakes, waterfalls and ice-carved islands are awe-inspiring works of art. Rudyard Kipling described Fiordland’s incredible Milford Sound fiord as the “eighth wonder of the world.” And in 2008 this popular tourist destination topped Tripadvisor’s Travelers’ Choice Awards. 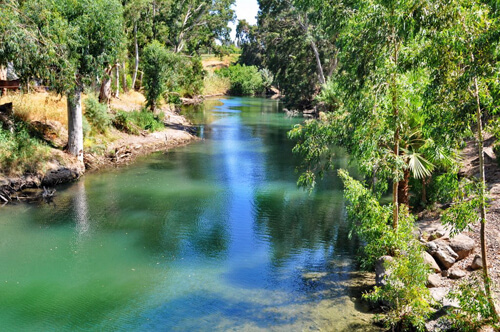 As the place where John the Baptist baptized Jesus of Nazareth and the point via which the Israelites entered the Promised Land, the Jordan River is important to both Jews and Christians. 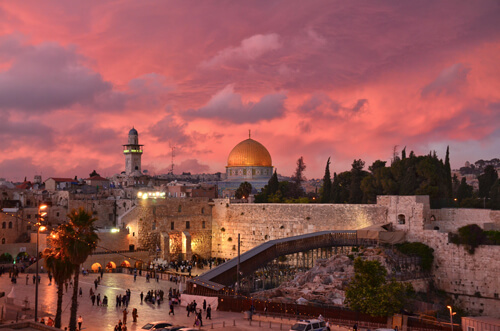 Located in Southwest Asia, the river is bordered by the West Bank, Israel and Jordan and ultimately ends up in the Dead Sea. 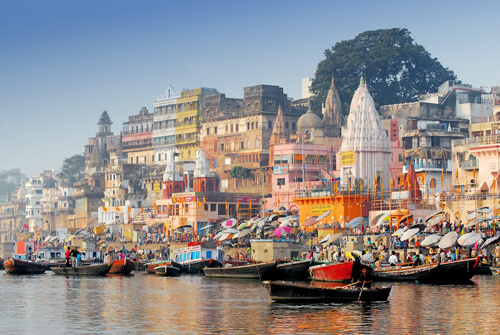 Through the centuries, the river has become a symbol of freedom and spiritual rebirth, celebrated in popular music as well as poetry and other literature. In 2005 heavy metal guitarist Brian “Head” Welch became a born-again Christian after quitting the multi-Platinum band Korn and heading to the sacred river to be baptized. Welch described the change as “instant.” “I believe that my evil spirits were lifted from me and now… I feel peace inside,” he told CNN. 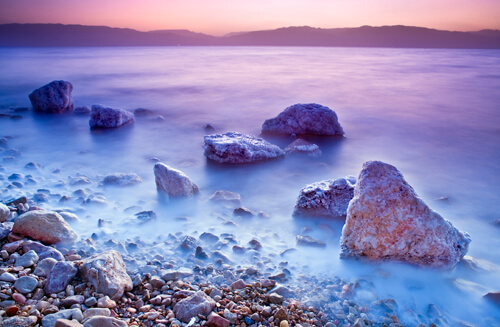 According to the Bible, the Dead Sea provided a safe haven for King David. Over 2,000 years back in time, Herod the Great used the salty lake as the location for one of the earliest health spas, and historical figures like King Solomon, Cleopatra and the Queen of Sheba are all said to have sampled its rejuvenating powers. The lake has also been mined for everything from beauty products to mummification balms and fertilizer salts. And today people come from all over the world to float in its amazingly buoyant waters and cover their bodies in its healing, mineral-packed mud. Recognized as the world’s deepest highly concentrated salt lake and the lowest point on land, the Dead Sea has been estimated to be between 1,312 and 1,388 feet below sea level. Floating in it is definitely a life-boosting experience to cross off one’s bucket list. 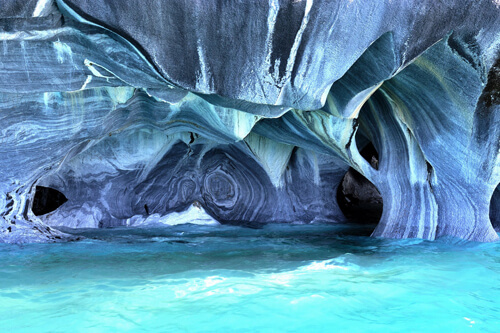 For more than 6,200 years, jaw-dropping marble caverns have been shaped by the jostling waves of Patagonia’s General Carrera Lake. Located on the Chilean side of Patagonia, the lake’s breathtaking geological wonders include the Marble Caves and incredible rock formations the Marble Cathedral and Marble Chapel. U.K. newspaper the Daily Mail described the Marble Cathedral as “an azure temple created by nature,” adding that it shows “just how magnificent the precious geography of our planet can be.” Surrounded by snow-topped mountains, cliffs and crystal-clear water, navigating the lake on a kayak and exploring its network of intricately patterned marble caverns is the kind of unforgettable life adventure that’s sure to put things into perspective. Ruled by the Pope and serving as the special territory of the Holy See, Vatican City is the global seat of Catholicism. 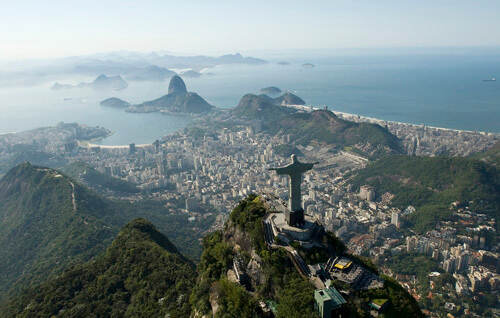 The small sovereign city-state was proclaimed an independent entity in 1929, and its ongoing allure and power to transport people can be attributed at least in part to its timeless landmarks, Renaissance architecture and art, and saintly relics. Walled off from the rest of Rome, this holy city houses religious and cultural attractions like St. Peter’s Basilica, the Apostolic Palace, the Sistine Chapel and the Vatican Museums. 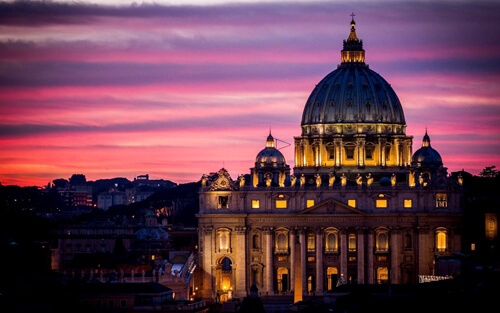 In 2013, from March through December, Vatican City drew an estimated 6.6 million visitors. “The beauty and majesty of St. Peter’s is overwhelming… You are swept away by the experience,” wrote one tourist. “Breathtaking,” declared another. 25. 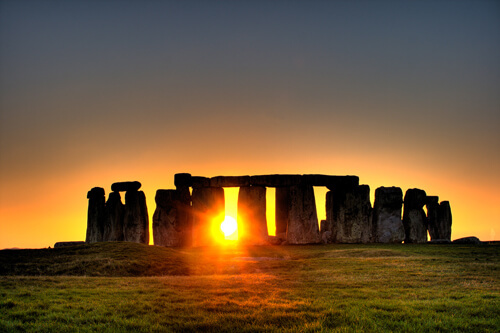 Stonehenge – Wiltshire, U.K. The eerily beautiful landscape of Hawaiʻi Volcanoes National Park will breathe life into any tired routine or weary soul. “Amazing and life-changing,” wrote one visitor, who added, “I still get chills remembering the sounds of… dried lava crackling as it split open… to reveal fresh flowing lava.” Established in 1916, the park features active volcanoes Kīlauea and Mauna Loa and was recognized as a Man and the Biosphere Reserve and a UNESCO World Heritage site in 1980 and 1987, respectively. 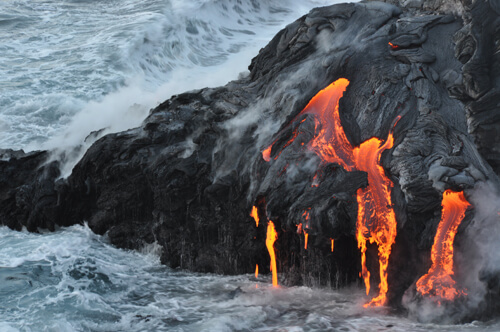 Traditionally, Kīlauea is the hallowed abode of Hawaiian volcano goddess Pele, and the park is known for its geological significance and contribution to the study of volcanoes. 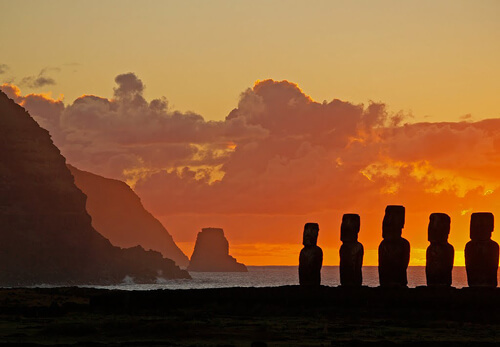 Sights include the footprints of locals caught up in a volcanic explosion in 1790. 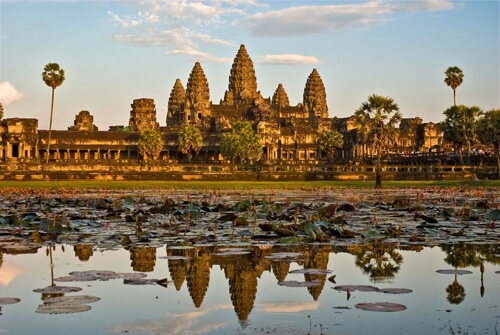 Bodh Gaya in India’s Bihar state is the holiest destination in Buddhism. The site contains the Mahabodhi Temple, which the emperor Ashoka built in roughly 260 BCE to honor the spot where Buddha is believed to have achieved enlightenment under the sacred Bodhi tree. The temple is among the most ancient remaining examples of original Indian brickwork in Eastern India. With the Bodhi tree to the west and a plethora of monasteries and holy relics scattered about, going to Bodh Gaya is like stepping back in time. Visitors have written about its tranquility and almost tangible holiness. 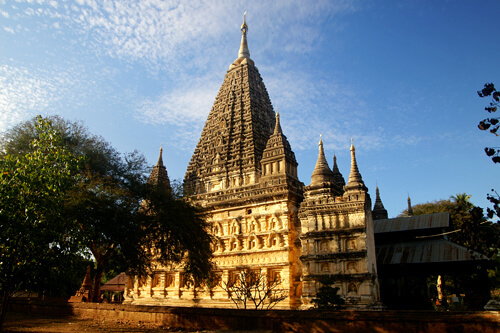 In 2002 Mahabodhi Temple was recognized as a World Heritage site. And in 2013 the King of Thailand and other adherents made a contribution of some 660 pounds of gold, for use in adorning the dome of the temple. 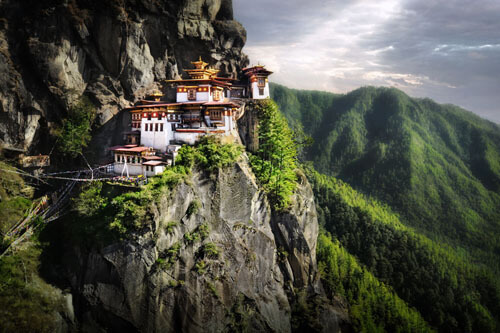 Often referred to as the Tiger’s Nest, Taktsang Palphug Monastery is a sacred Buddhist meditation retreat high in the Himalayas above Bhutan’s Paro Valley. 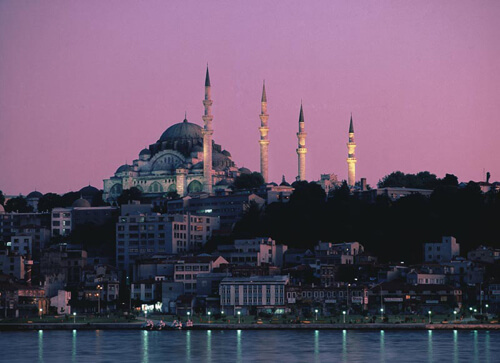 The site’s origins date back to the eighth century, although the famous temple was built in 1692. This spot is steeped in myth and legend. One such legend tells how Guru Rinpoche traveled through the air on a tigress to the place and there consecrated the cave to overcome an evil spirit. He then began an extended meditation and is said to have popularized Buddhism throughout the region. 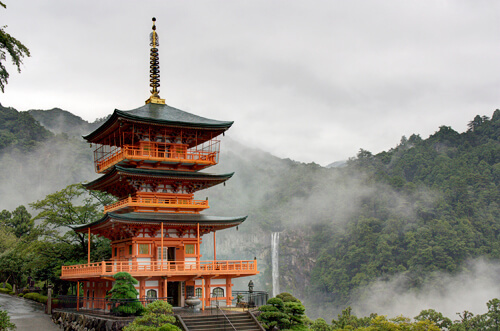 “The monastery is simply spectacular,” wrote one visitor: “serene and calm.” Another hailed his trek as a “life-changing experience.” In 2013 Virtuoso Traveler included the monastery on its “29 Experiences of a Lifetime” list. 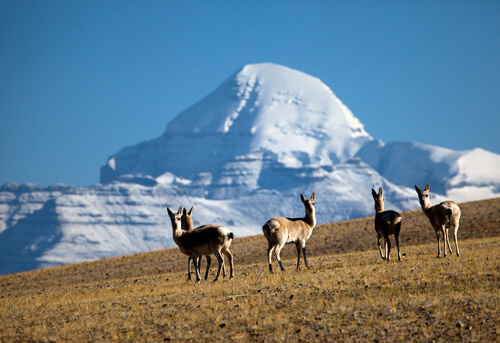 Tibet’s breathtaking Mount Kailash is seen as being sacred in Hinduism, Jainism, Buddhism and Bonism. These religions consider walking the 32-mile circumference of the mountain a holy rite that blesses pilgrims with good luck. Interestingly, Hindus and Buddhists proceed clockwise, while Jainists and Bonists choose to walk counterclockwise. 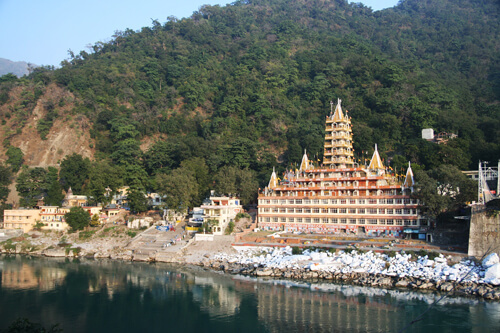 Hindus believe that Lord Shiva and his spouse Parvati sit at the top of the mountain, locked in continuous meditation. Religion aside, Mount Kailash was shaped by earth-shattering tectonic activity approximately 50 million years ago. And the sheer majesty and age of Mount Kailash – as well as its palpable air of spirituality – are enough to trigger introspection and personal change in many an individual. 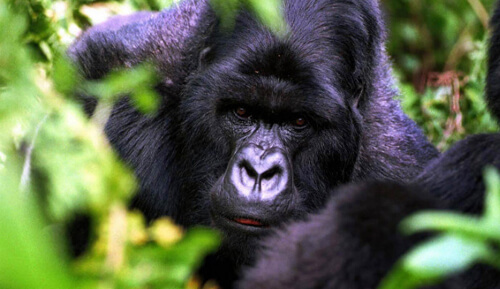 It’s the “experience of a lifetime,” according to one visitor. The Great Blue Hole is an incredible vertical cave popularized by legendary French diver Jacques Cousteau in the early 1970s. 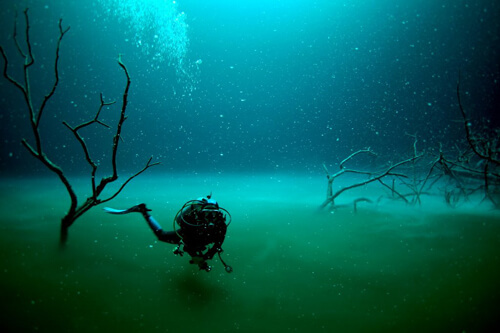 Located in Central American waters relatively close to the Belize City coastline, this breathtaking submerged sinkhole is a feature of a UNESCO World Heritage site – the Belize Barrier Reef Reserve System. The beginning of the sinkhole’s formation dates back 153,000 years, when the surrounding waters started to rise and inundate the cave. 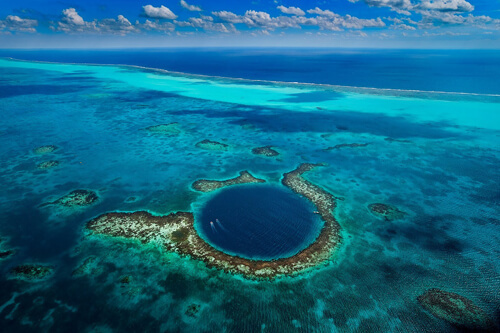 The Great Blue Hole has been described as being among the top dive sites in the world, and its exotic marine life features parrotfish and Caribbean reef sharks. 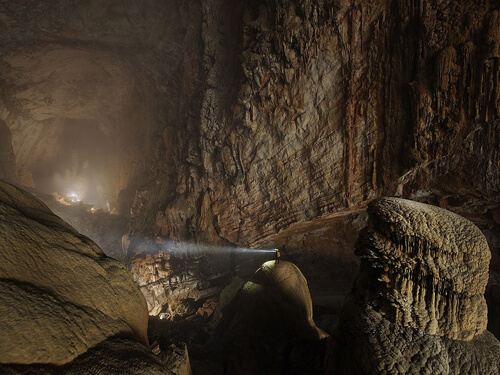 The hole’s underwater caverns are also filled with fascinating stalactites; and in 2012 it topped Discovery Channel’s “10 Most Amazing Places on Earth” list. 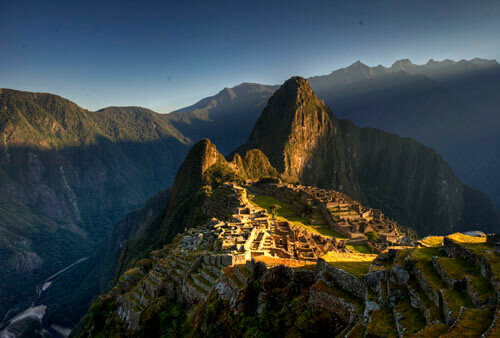 Constructed by the Incas in around 1450 CE, Machu Picchu is one of the most iconic manmade creations on Earth. 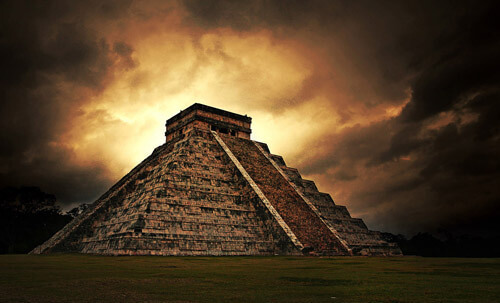 The site is widely believed to have been developed as a residence for Emperor Pachacuti, who reigned from 1438 to around 1472. Today, the classical dry-stone Inca estate remains balanced almost impossibly on top of a mountain overlooking Peru’s Sacred Valley. Cut off from the rest of the world by the Andes mountains and littered with cultural artifacts, Machu Picchu is an ancient ruin site that’s bound to inspire some soul-searching. Those passing through have described their visits as “mind-boggling,” “breathtaking” and “bonding.” The views, of course, are something special. 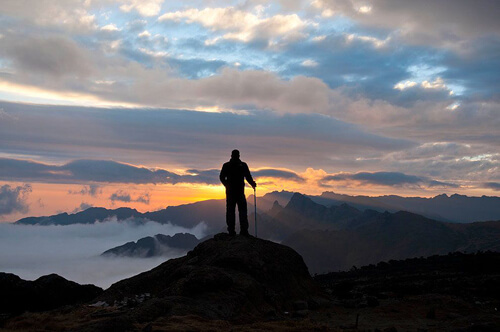 According to one traveler, “Watching the sun rise and being in the clouds is the most amazing thing you will ever experience.” In 1983 Machu Picchu was recognized as a UNESCO World Heritage site. 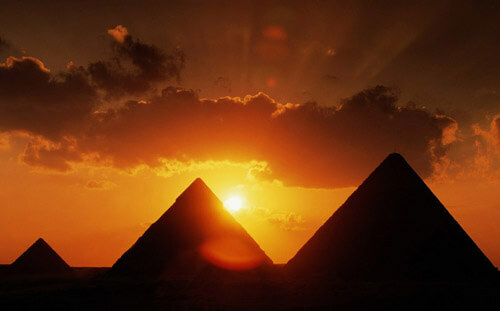 Watching the sun set over the pyramids of Giza is one of those unique life experiences that someone never forgets. Dwarfed by the structures’ majesty and intoxicated with the romanticism of Ancient Egypt, visitors are offered a time-traveling glimpse into the world’s mysterious beauty – and what humans can accomplish with patience, dedication and resolve. Believed to have been corner-stoned in all its glory in around 2560 BCE, the Great Pyramid of Giza was designed as a crypt for Egyptian pharaoh Khufu, who ruled from 2589 BCE to 2566 BCE. 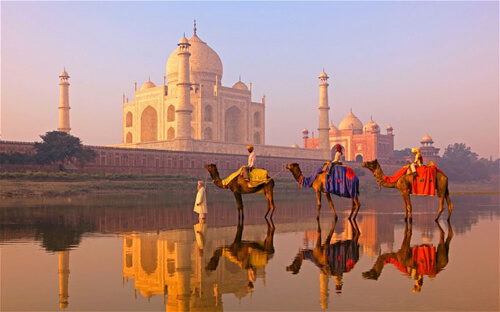 The giant monument also has the distinction of being not only the oldest of the Seven Wonders of the Ancient World, but also the only one among them still in one piece. 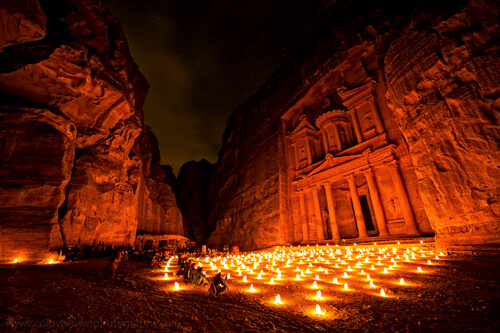 Moreover, it remains a truly awe-inspiring place for many that have either stood next to it or been inside one of its chambers or passageways. 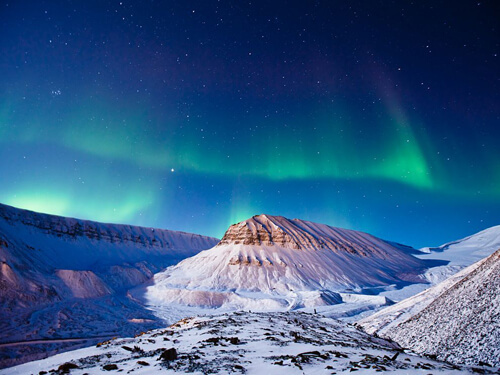 “The energy… is unbelievable,” remarked one traveler. “This is my Everest” has become a saying used to describe any challenge that has to be overcome – so what could be more transformational than climbing the real thing? 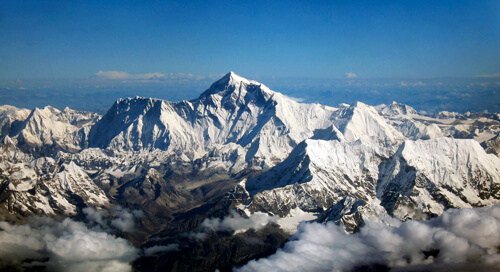 Everyday fears and insecurities will likely seem inconsequential whilst standing atop the world’s tallest mountain, 29,029 feet above sea level, surveying the Himalayan landscapes of Nepal and Tibet. Buddhists view the southern section of the peak as a spot sanctified by the eighth-century Guru Rinpoche, while the northern flank features holy Buddhist site Rongbuk Monastery. What’s more, according to the local Sherpas, the mountain has a divine energy, so those who visit should show respect and keep their minds pure. “Makes me question what we need in our lives as the Nepalese have so little yet appear to be so content,” wrote one visitor. 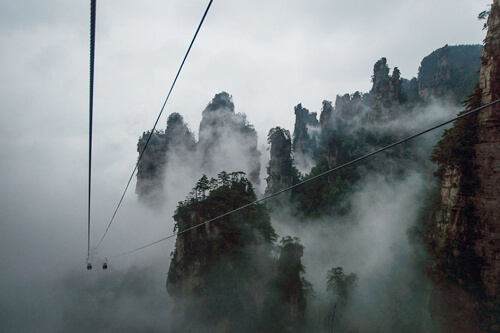 The unique and majestic column-like rock formations of Tianzi Mountain Nature Reserve provided the inspiration for the floating Hallelujah Mountains in James Cameron’s 2009 sci-fi epic Avatar. Most would say that the real thing is far more breathtaking. “No words can describe the view that awaits you,” wrote one visitor, overcome by the power and enchantment of the place. 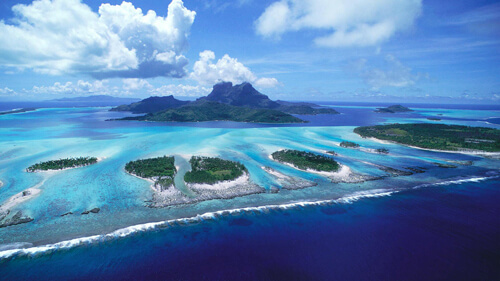 She continued: “This is definitely one of the most beautiful places I have ever visited. 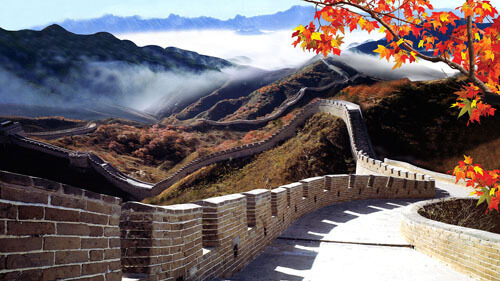 Photos cannot capture the vastness, the sheer size, depth and extent of these mountains.” China Travel attributes the reserve’s unique features to “aeons of water erosion.” Looking out over the peaks, waterways, cascades and dramatic forested landscape from a cable car, the name Tianzi – or “son of heaven” – makes perfect sense. 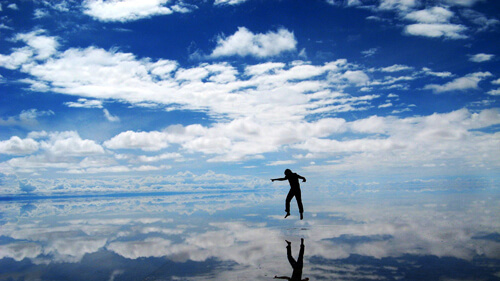 Sprawling across 4,086 square miles, Bolivia’s Salar de Uyuni is the largest salt pan on the planet. 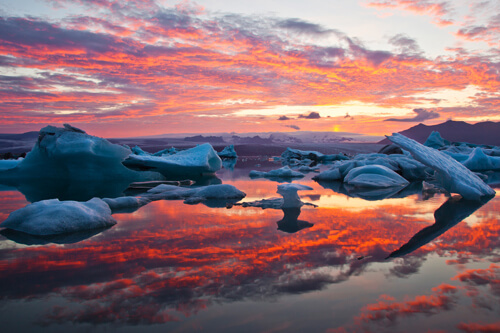 A more fun-packed fact is that it turns into the world’s biggest natural mirror during its wetter spells, when a shallow layer of water covers its surface – which is truly a sight to behold. 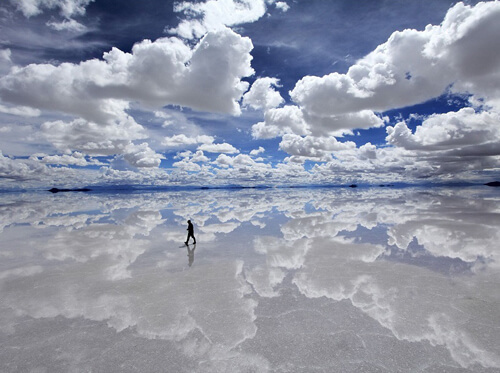 This phenomenon has led to Salar de Uyuni being dubbed “heaven on Earth,” and some say being there is like “walking among the clouds.” Salar de Uyuni was shaped by a group of prehistoric lakes, including Lago Minchín, which dried and coated the area in salt crust. 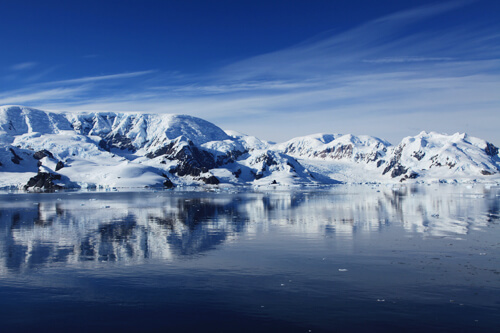 Incredibly, the brine beneath the plain’s crust harbors up to 70 percent of global lithium supplies. “This place is extraordinary,” wrote one stunned visitor. “Utter silence… [and] the experience of time being stopped. 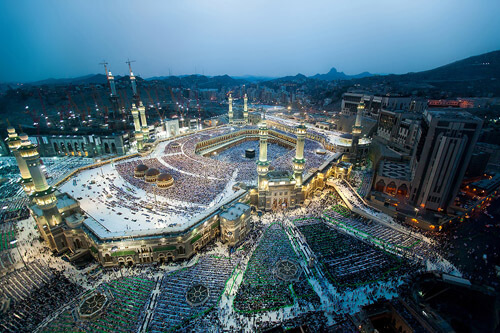 The most amazing place on Earth.” High praise indeed.